Video Converters There are 10 products. 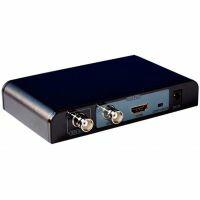 Real-time HDMI-h264 video stream encoder. VGA - HDMI converter with UHD upscaling. Mini-DisplayPort (ThunderBolt) to HDMI, VGA and DVI converter. 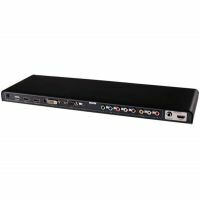 Video switcher/converter with VGA & Component YUV inputs and 1 HDMI output. 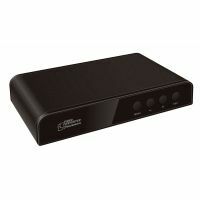 Multi-format video switcher/converter with 5 inputs and 1 HDMI output. 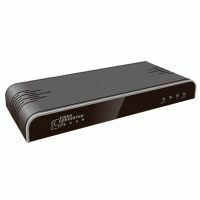 Multi-format video switcher/converter with 8 inputs and 1 HDMI output. 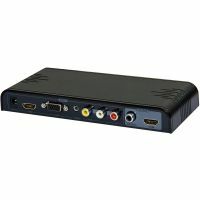 HDMI to HDMI scaler & converter with audio embed/disembed. 3G-SDI to HDMI converter / scaler with local SDI loop out. 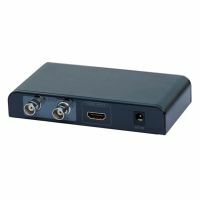 HDMI to SDI converter with 2 SDI outputs. SDI to Composite converter / scaler with SDI & Composite outputs.